Patrick Barker, executive director of La Plata Open Space Conservancy, lives near Oxbow Park and Preserve, an area his organization helped establish. 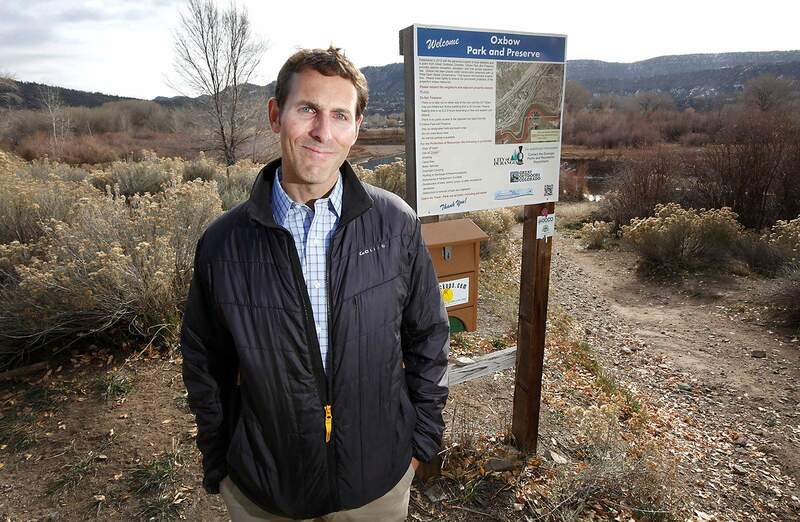 Patrick Barker said conservation easements, like the one near Oxbow Park and Preserve in north Durango, are a win-win for landowners, the community and the environment. 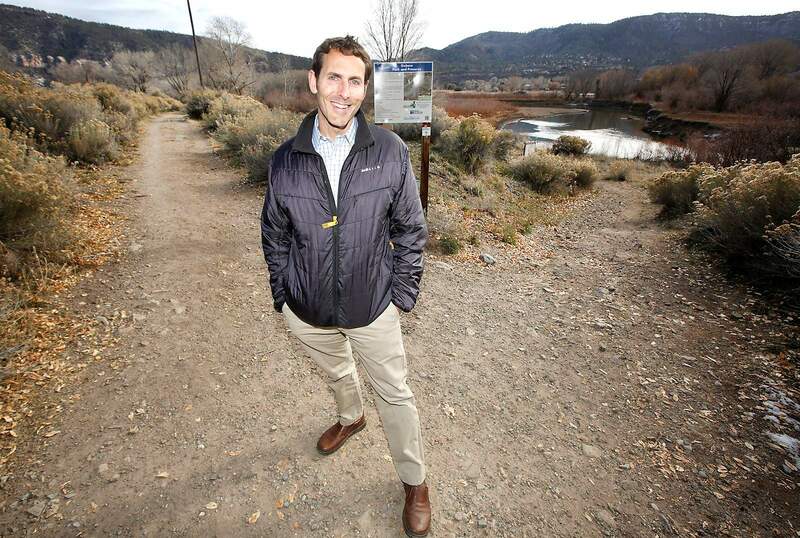 La Plata Open Space Conservancy’s new executive director is getting to know Southwest Colorado, and he hopes to do the same with the organization he now leads. Patrick Barker arrived in Durango in June to join the conservancy, which works to protect lands through conservation easements. The position became vacant after the previous executive director, Amy Schwarzbach, resigned in January, taking a job with the city of Durango as a natural resource manager, dealing largely with Lake Nighthorse. Schwarzbach had served as executive director for about four years, succeeding the organization’s longtime leader, Kathy Roser. Until Barker arrived, the board’s president, Mark Stiles, served as interim director. Barker made his way to Durango from Glenwood Springs, where he lived most recently, but the 44-year-old is a native of West Virginia. Barker went to law school at West Virginia University, taking an outside interest in oil and gas, mining and public lands issues. “I don’t think I had that desire when I went to school, but it grew while I was there,” he said. After a couple of influential experiences backpacking and mountain biking in the Dolly Sods Wilderness and Coopers Rock State Forest in West Virginia, Barker became motivated to work in environmental issues. Before starting his professional career in earnest, Barker took some time to travel, spending four years in Africa, another year in South America and then worked as a park ranger in Sequoia National Park in California. “After getting the travel bug out, I finally felt the need to put that law degree and education to work,” he said. After a brief stint in Washington, D.C., Barker took a job in Glenwood Springs with a grass-roots organization that works with oil and gas issues, Western Colorado Congress (now Western Colorado Alliance), which is based in Grand Junction. Around 2008, Barker went into private law practice, mostly dealing with water, real estate, and oil and gas law. But he was drawn to Southwest Colorado after learning about conservation easements. Barker said one of his main priorities is to get the Open Space Conservancy more involved in the community. “Unfortunately, I just don’t think the positive word about conservation easement is out there enough,” he said. A conservation easement essentially is an agreement with a property owner in which the owner agrees to limit development on the land for the benefit of scenic quality and wildlife habitat. While an agreement to limit development can devalue the property’s overall value, there’s a trade off: a conservation easement includes tax incentives that make the agreement more attractive for long-term estate planning. The La Plata Open Space Conservancy holds 180 easements for a total of more than 20,800 acres in the region. And that doesn’t include properties the conservancy helps protect and then transfers to another agency. An approximately 300-acre easement, for example, was transferred to the Bureau of Land Management for incorporation into Canyons of the Ancients National Monument. Barker said over the years, about 10,000 acres have been transferred in a similar manner. Matt Annabel, communications director for the Aspen Valley Land Trust, said conservation easements have historically been the organization’s bread and butter. More recently, however, the land trust has been working to secure lands that hold recreational benefits. The effect is twofold: recreational areas generally hold greater public benefit, and it allows more exposure on the group and its work. Ted Compton, a board member of the La Plata Open Space Conservancy for about five years, said Barker was the best choice to lead the group going forward. Barker – an avid skier, mountain biker, hunter and motorcyclist – said he’s just ready to get to work.